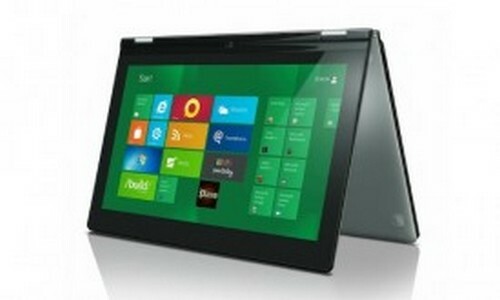 Bloomberg, while citing its unknown sources, reports that Windows 8 is expected to make its debut in October. There are wide range of rumblings claimed that the new Windows will launch both on Intel and ARM systems, rejecting the rumors suggesting that ARM machines could be delayed. According to few reports, there will be only five ARM machines ready to get Windows 8, compared to a few 40 machines that will run on Intel silicon. It has been reported that the Redmond-based software giant is planning an April event, aiming to let company’s partners in on timings and strategies related to the launch of Windows 8. The event will focus around the launch date and marketing details for Microsoft’s forthcoming OS. Microsoft’s upcoming OS is in fact a comprehensive retake on the classic Windows experience, offering new capabilities and interfaces, presenting the honored brand into the touch era in one pounce. It is important to mention here that the lesser number of ARM machines are for the fact that the company is executing intense controls on what is being delivered. The report of Windows 8 launch in October seems to be the last possible opportunity for the Redmond-based software giant if it wants tablet manufacturers to ship devices featuring Windows 8 this year. In this context, we have heard about a report claiming that Lenovo is planning to release its Windows 8-based tablet somewhere around in October this year. As far as our knowledge about Windows 8 is concerned, the OS development is right on schedule. The company released a Consumer Preview version of the operating system back in February. Luckily, we got a chance to have our hands on it and found it well-polished. There is still plenty of time left for Microsoft to make necessary improvements to its new operating system.